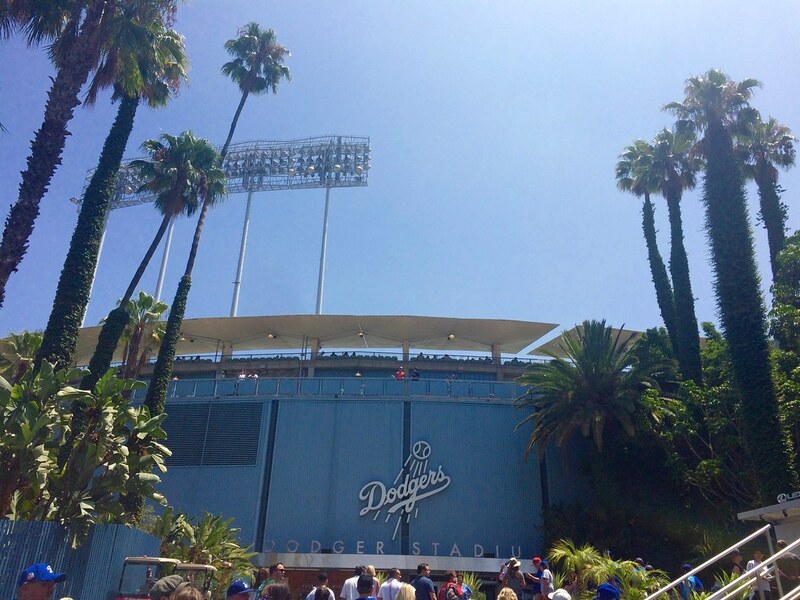 When in Los Angeles, there are few things more “must-do” than attend an LA Dodgers game! 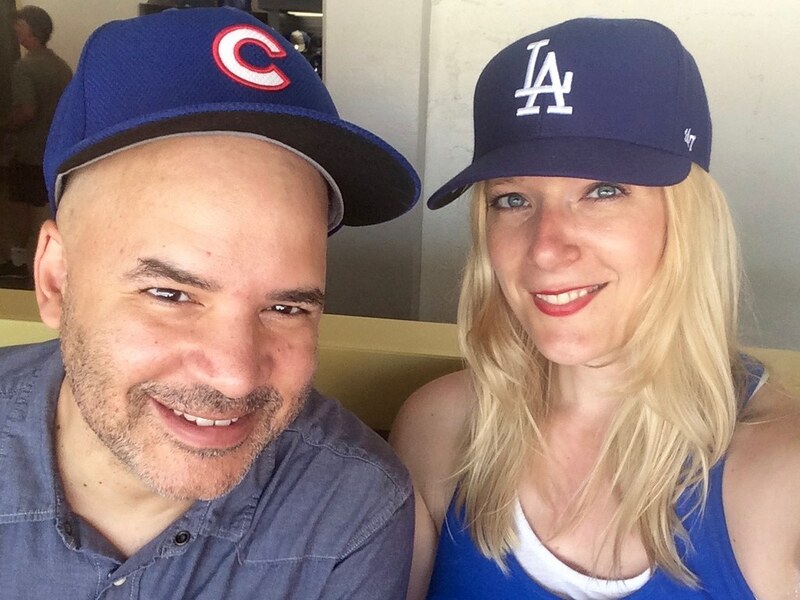 As we planned our recent trip to Los Angeles, Rebecca discovered that the Boston Red Sox would be in town and asked if I’d be interested in seeing an LA Dodgers game. It took me all of 1.57 seconds to respond with a resounding “yes!” I’d never been to a Major League Baseball game but I know how quintessential the sport is to American culture. Plus, it was the Dodgers and Red Sox! You can’t get a match-up more classic than that. 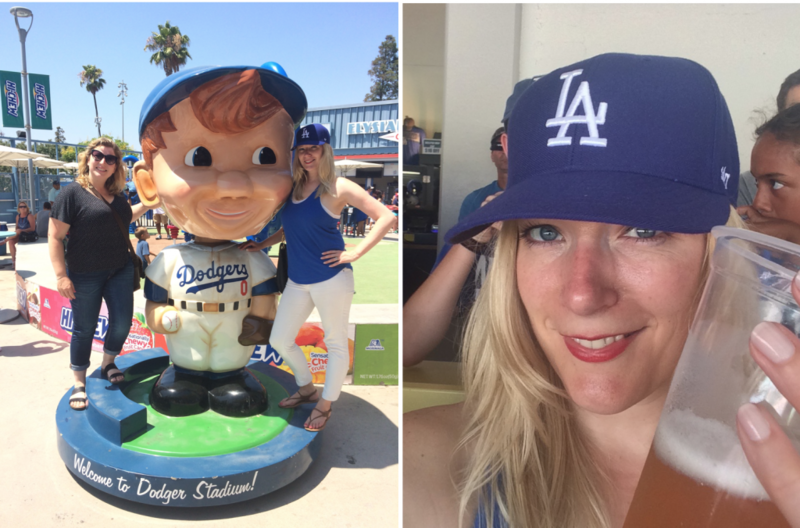 The day finally arrived – August 6th – and I couldn’t have been more excited as we rolled into the parking lot at Dodger Stadium. Just ask my friends Rebecca, Preston, or Tony: they can attest to the fact that I was practically skipping to the gates. In life, and especially in travel, I adhere to the “when in Rome…” ideal. 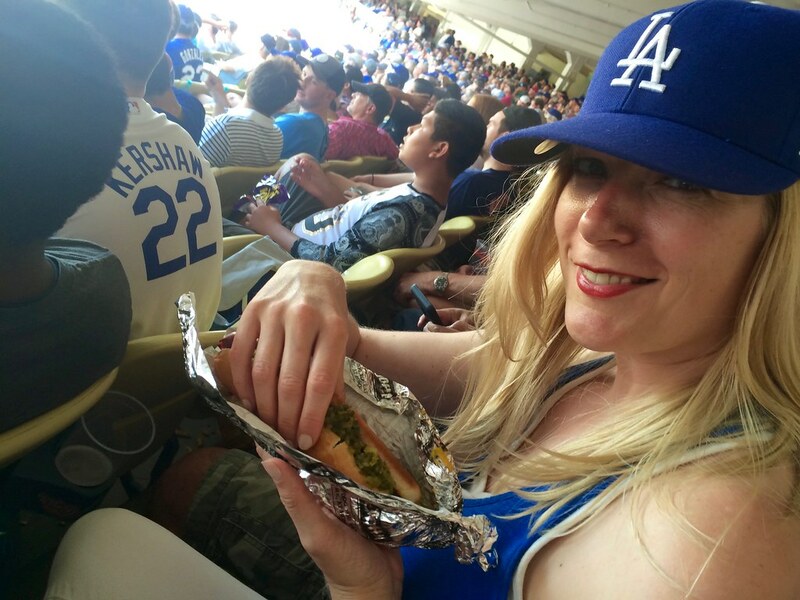 So not only was I purposefully decked out in white and Dodger blue, I grabbed a baseball cap, a big Budweiser, and my first-ever, infamous “Super Dodger Dog.” You can’t imagine my delight at the abundance of relish available in Dodger Stadium. The game itself was incredibly exciting to watch! I know enough about baseball to (mostly) understand what was happening. The electricity of the fans combined with the pulse of the music made it impossible not to cheer and shout with everyone else. Being that my pal Preston came along with us, he couldn’t go to an LA Dodgers game and not exercise his artistic talent. If you follow Preston online (which you should), you’ll know he’s quickly becoming known for his minimalist ballpark art as well as his #BallparkPrincess drawings. We were able to watch him in action before a fan claimed the day’s masterpiece. In the end, the final beer was downed, the last player slid across home plate, and I managed to wipe the residual relish off my cheek. The home team ultimately dominated the Red Sox 3-0 to hold steady at first place in the west. 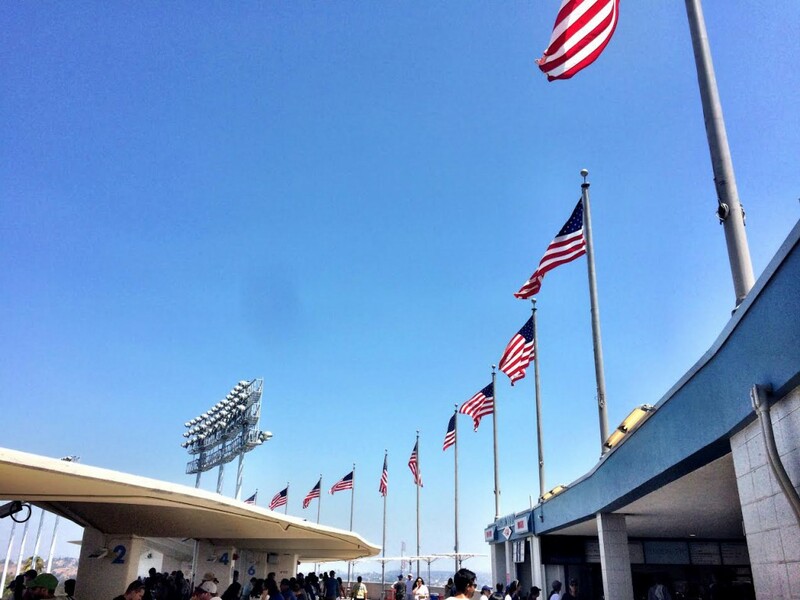 The LA Dodgers game certainly made a fan out of me, and my first MLB experience was one I won’t soon forget. 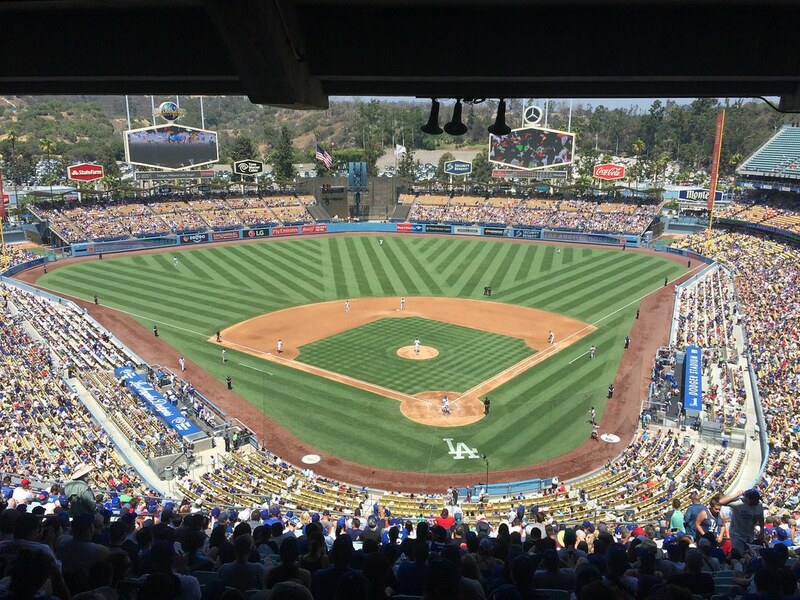 Want to see an LA Dodgers game? Get tickets here. 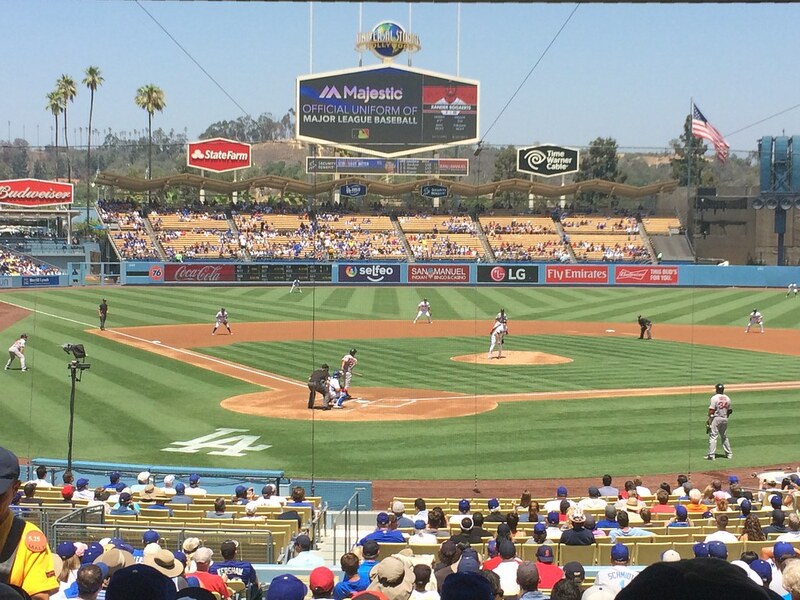 You can also follow the Dodgers on Facebook, Twitter, and Instagram.